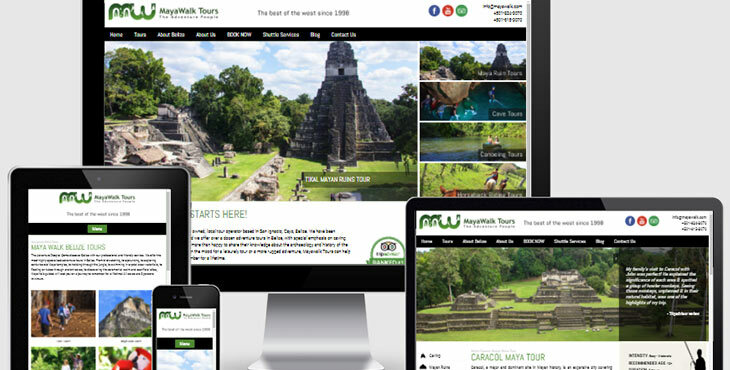 MayaWalk Tours – BIM Launches New Website! MayaWalk Tours is a local tour operator basing in San Ignacio, Cayo, Belize. Operating adventures tours since 1997. Whether you are in the mood for leisurely tour or a more rugged adventure, MayaWalk tours can help you plan a special trip that you will remember for a lifetime. Their new website was created by Belize Internet Marketing and Website Design. The key features of the site include a cleaner and more attractive design, a more engaging user experience with enhanced search and navigation, and the capability to sell different tours directly to adventure seekers. These key features along with optimization for mobile devices allows consumers to better understand what Maya Walk has to offer regardless of what device is used to access the site. Thinking of visiting and experience all that Belize has to offer. Check out the new website and book your Belize Adventure with Maya Walk Tours.